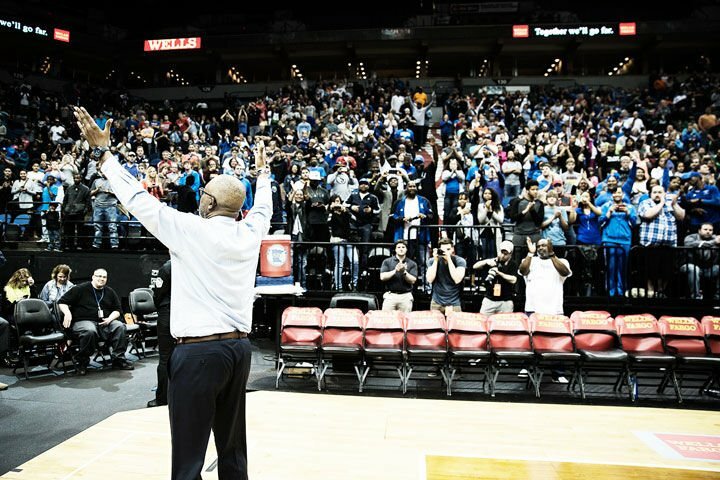 KANSAS CITY – Long-time community and youth advocate Larry McKenzie, the boys’ basketball coach at North Community High School, is the recipient of the 2019 Guardians of the Game Pillar Award for Education from the National Association of Basketball Coaches (NABC). He will receive the award on April 7 at the AT&T NABC Guardians of the Game Awards Show at the Minneapolis Convention Center. The show, which begins at 6:30 p.m., is held during the annual NABC Convention in conjunction with the NCAA Division I Men’s Final Four. The Guardians of the Game Pillar Awards are presented annually for advocacy, education, leadership and service, the four core values of the NABC. The show will be broadcast live on Stadium (www.watchstadium.com). As a high school coach, McKenzie is the first coach to win four consecutive state titles in the 100-year history of Minnesota boys’ basketball with his team at Patrick Henry High School. He added to his legacy most recently as the first coach to lead two schools to multiple state titles as his North Polar Bears have won two straight state championships. McKenzie has set the mission for his program to develop a foundation for a championship program and use basketball as a tool to empower young men to be champions in the classroom, in their families, and their communities. The coach, educator and author utilizes three key elements; athletic development, academic development and moral growth.